Discovery Flexibles, under its parent company Fabcorp Ltd; has been identified by the London Stock Exchange (LSE) as one of its 1000 “Companies to Inspire Britain”* in a milestone independent research report scrutinising all industry sectors in the UK economy. This recent LSE testimony commends some of the UK’s fastest-growing and most vibrant Small and Medium Enterprises (SMEs), as well as recognising the challenges that face them in future years. Companies were selected based on a range of criteria. These included being UK based, having a turnover of between £6-250 million in the last 12 months and a minimum of three years in operation. Companies had to also demonstrate not only a positive growth in revenue over the last four years, but also an increase in employee figures, workspace, contract wins or patent filings. Chris Wrigley, CEO and major shareholder, commented: “We are honoured to receive this recognition from the LSE and it proves that, in a market driven by price, customer service is still valued. Our 99%+ quality and “on time, in full” records, combined with super-fast turnarounds for urgent orders, make us the partner of choice for customers who recognise the true cost of poor supply to their business”. The report was compiled and audited by Growth Intelligence, a UK software company specialising in monitoring the real-time data footprint of UK companies. 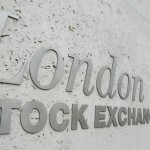 Highlighting the importance of inspiring small and medium-sized companies across the UK and their value to the future of the UK economy, the London Stock Exchange Group is hoping that the report will shine a light on some of the most vibrant companies the UK has to offer. Follow our fitness team (Jimmy, Owen, Mark and Dickie) as they embark on the Ben Nevis Challenge 2014 in aid of Scottish Charity Air Ambulance.